Jeffrey Standring, MS, joins Lucida® Treatment Center as executive director. With Elements Behavioral Health’s national presence and Lucida’s passionate, experienced staff and blend of treatment modalities, we can touch the lives of many. 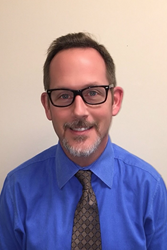 Lucida® Treatment Center is proud to welcome Jeffrey Standring, MS, as executive director. Standring has 23 years of experience developing and overseeing health care organizations in Florida, Chicago and Massachusetts. He holds a bachelor’s degree in human services and a master’s degree in organizational management and leadership from Springfield College. He is also a board-certified human service practitioner. Before joining Lucida® Treatment Center’s leadership team, Standring served as chief operating officer for Universal Health Services where he oversaw a 24-bed substance abuse treatment facility, an 11-bed crisis stabilization unit, an 88-bed acute care hospital, and a 62-bed residential treatment center. He also held managerial positions with the Central Florida Behavioral Health Network, Vision Quest, Eckerd Youth Development Center and a number of other residential treatment centers for adults, children and adolescents. Lucida® Treatment Center is a Joint Commission-accredited addiction and mental health treatment center located in a beautiful, resort-like setting just steps from Florida’s Intracoastal Waterway in Palm Beach County. The facility offers highly individualized, evidence-based treatment that includes 12-Step and non-12-Step support options. Lucida® Treatment Center offers a women’s mood disorders program and a dual disorders program for adults suffering from addictions and co-occurring mental health issues. For more information, call (855) 893-5987 or visit http://www.lucidatreatment.com. Lucida® Treatment Center is a member of Elements Behavioral Health, an owner of a series of behavioral health programs located throughout the United States. The Elements Behavioral Health® family of programs offers comprehensive, innovative treatment for substance abuse, sexual addiction, trauma, eating disorders, and other mental health disorders. Through its programs, the company is committed to delivering clinically sophisticated treatment that promotes permanent lifestyle change, not only for the patient but for the entire family network. For more information, visit http://www.elementsbehavioralhealth.com.